Tired of spending way too much for a great Calzone at your local pizza place. 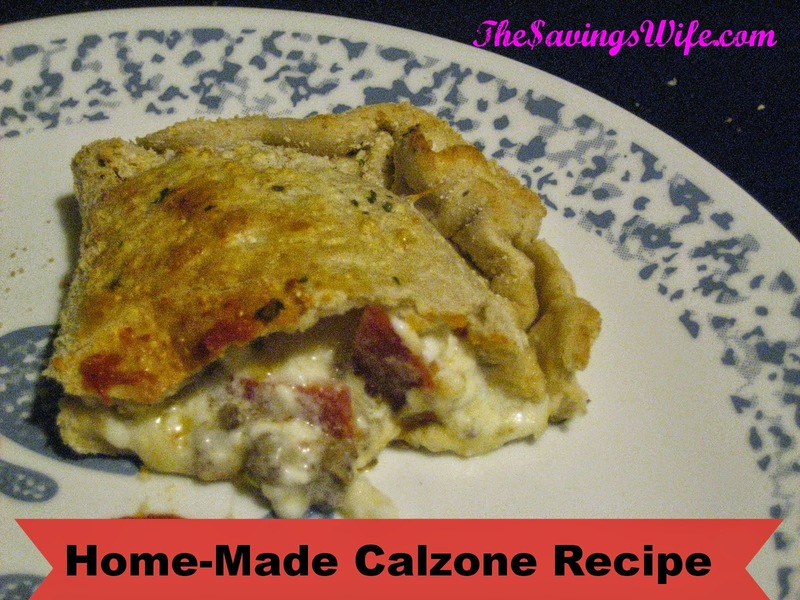 Check out this recipe where you to can make your own Calzone. We make Calzones or Pizza usually once a week. Here is my tried and true recipes for you to use. Start by preheating the oven to 480 degrees. Make your own Home-made Pizza Crust. Simple, easy and quick. This is a great meal to add to your Meal Planning. Stir together all the ingredients except for the pizza dough. Divide the pizza dough into three and roll out into circle about 1/4 inch thick. Spoon 1/3 of the other ingredients mixture on each circle and fold dough over filling pressing the edges to seal and then rolling them up. Place on a baking sheet or a pizza stone and prick holes in the top with a fork. Used brushed egg white on the tops of the calzones for crispier crust. Cook for about 10-15 minutes. You can serve alone or with warm Pasta or Pizza sauce.